The winter season is upon us, which often means dealing with potential health issues. 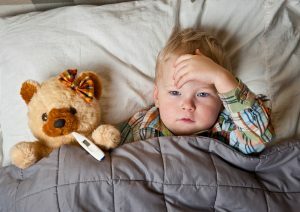 Colds, flus, and winter woes galore are all aspects of this season that may pose difficulties. It’s important, however, to remember that your teeth can be affected, too. Teeth are very sensitive and exposing them to extremely cold weather can cause problems. There are lots of ways you can focus on keeping your teeth safe even during the very cold weather. You need to make sure that you prevent any cavities from appearing. Brushing your teeth at least twice a day is extremely important to avoid dental issues. You should also focus on flossing and using mouthwash often. An already unpleasant part of the flu, vomiting brings danger to your teeth, as well. Why is it important to wait before you brush your teeth? Because vomiting brings lots of stomach acids into your mouth. The last thing you want is to add more opportunity for abrasion into your mouth via brushing your teeth. Sugar-free drops don’t have corn syrup or sugar, both of which are very bad for your health and your teeth in particular. Natural, sugar-free products are more than welcome. But avoid anything sugar-based. If you’re sick, you need lots of fluids to keep your body and, more particularly, your mouth hydrated and protected from any issues. Without the right amount of hydration, you will create the perfect environment for bacteria to spread into your mouth and cause cavities. Hydrate and brush your teeth as often as possible. When you are sick and it’s cold outside, it’s incredibly tempting to drink hot chocolate or other sweet drinks like cider and eggnog. However, it’s important to always drink water and not sugar-filled juice. As we mentioned earlier, sugary drinks and other sweet treats will lead to cavities. Your primary focus here has to be on staying as healthy as possible, and the way you do that is by using these tips! When sick, most of us tend to focus a lot more on getting rid of the flu instead of keeping your teeth safe. But these simple tips will help you keep your teeth clean and away from any problems as you work on regaining your health. There are always going to be challenges, as every person has a unique set of teeth and level of dental hygiene. Even so, these ideas will help you a lot and they will give you all the value and benefits you might need. An additional part of maintaining your dental health is getting regular check ups with Dr. Keith Schwartz. Be sure to call (954) 42-SMILE/ 427-6453 to schedule your next appointment with us today to keep your smile bright all season long!